Many of us have Porsche dreams, but suffer from the problem of having Hyundai budgets. But what if we rolled the dice on a Craigslist special? Will a cheap Porsche still leave you broke? One man in the UK tallied up his costs over a two-year period. A first-generation Boxster, 986 chassis code, is neither particularly attractive nor terribly quick. In 1996 the car’s 2.5-liter flat-six motor only pumped out about 201 horsepower. But you didn’t buy this car for raw speed, you bought it because you wanted a more affordable and arguably better balanced Porsche sports car. Just be prepared to pony up to keep it running today. YouTuber Road and Race added up the costs of his Boxster over two years, including parts and maintenance, and it comes out to $3,668.78. Despite some styling cues that haven’t aged well, you would be hard-pressed to find a nicer handling and more connected car for the money. 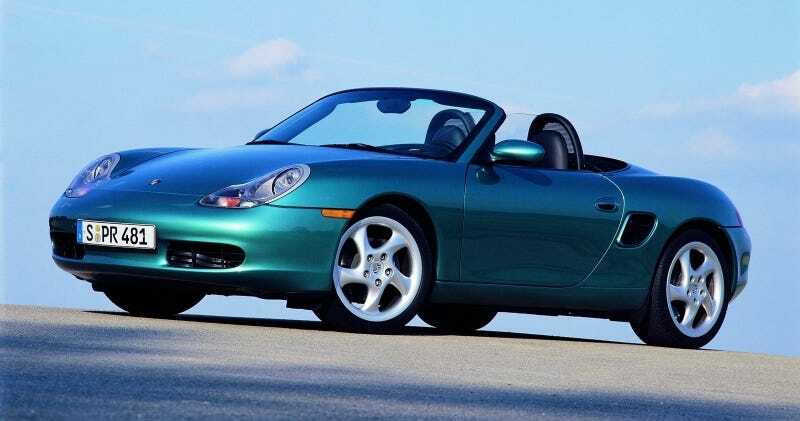 Boxsters are pretty cheap in the UK, and here in the US you can find plenty of mid-to-late 90's Boxsters with reasonable miles under $10,000, with more pristine examples fetching around the $15,000 mark. It doesn’t take a lot of money for a shot at Porsche ownership, and it seems that maintaining a mid-engine sports car isn’t nearly as bad as a 20-year-old M3. How much it will cost to keep your Porsche running all depends on how dirty you are willing to get, and if you can find a good shop to take care of the really hard stuff.